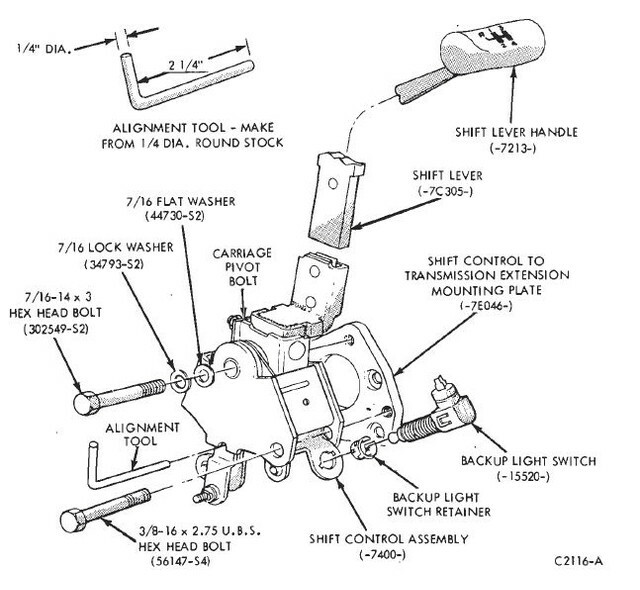 I am having a problem in my manual C4 Transmission where I can not shift to Reverse. The lever just won't budge to the R position. If I wiggle it enough it will go in the direction but it pops out and moves freely. Not sure if this is a transmission, linkage, or lever problem. I just hope I can fix it myself....Fluid levels are perfect. I'm confused, you say top loader, which is a 4-speed manual transmission, and then you say C4, which is an automatic transmission. I assume it is a manual transmission. Start with checking the linkage, make sure the bushings are OK and the linkage is adjusted correctly. As Don C said, start by adjusting the shifter linkage as well as the reverse lock out rod, if it is still there. If you plan on keeping the car, I suggest investing in a full set of the Ford shop manuals. I is very difficult to repair and maintain the car properly without them. If the linkage is out of adjustment it won't be obvious, just looking at it. I would disconnect the reverse shift rod and try to get it into reverse with the shift lever. Adjust the linkage and then try it again with the shifter. It helps if you have someone move the shifter while you watch what happens underneath. If you don't have a helper set up your cell phone and video it while you try to shift it. +1 on what Don C posted. My first course would be to try to see what is happening or possibly binding when trying to shift into reverse. 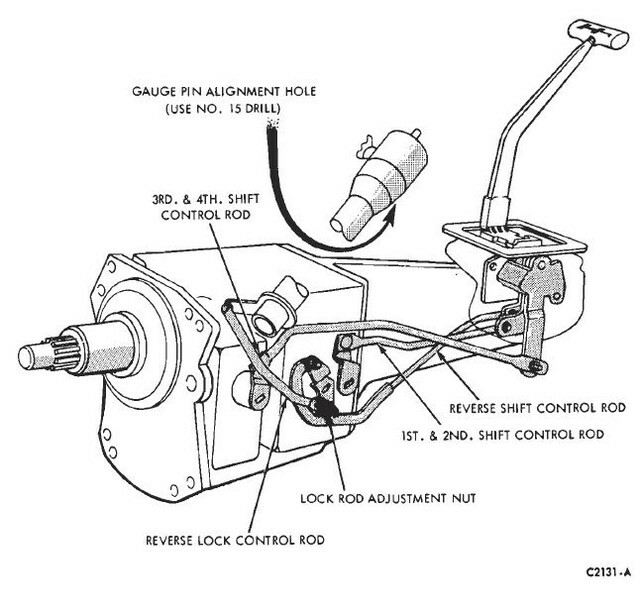 If it is not obvious in the linkage then disconnect the linkage and try to shift the trans into reverse from the shift lever on the trans by hand. If it goes in easily then the trans is not the issue it is in the linkage. Hope this helps. I believe there are also a few YouTube videos out there on adjusting the linkages on a top loader. The easiest, cheapest, and quickest way to get the shop manual set is to get it electronically (pdf) and download it. Thank you so much for these diagrams. I always wondered what the lever and the bottom of the column was for. Took the shifter off, so much dirt and grime on it. The bushings are dry and cracked up. I am going to order a new set of bushings and cup/springs. Could this be preventing me from shifting into reverse? Does the 71 toploader have a reverse lockout?